And I suppose your going to tell us it was the regime that did and not the rebel..your nothing but predictable. Exactly how would the rebels - who have no air force - be dropping aerial free fall bombs? 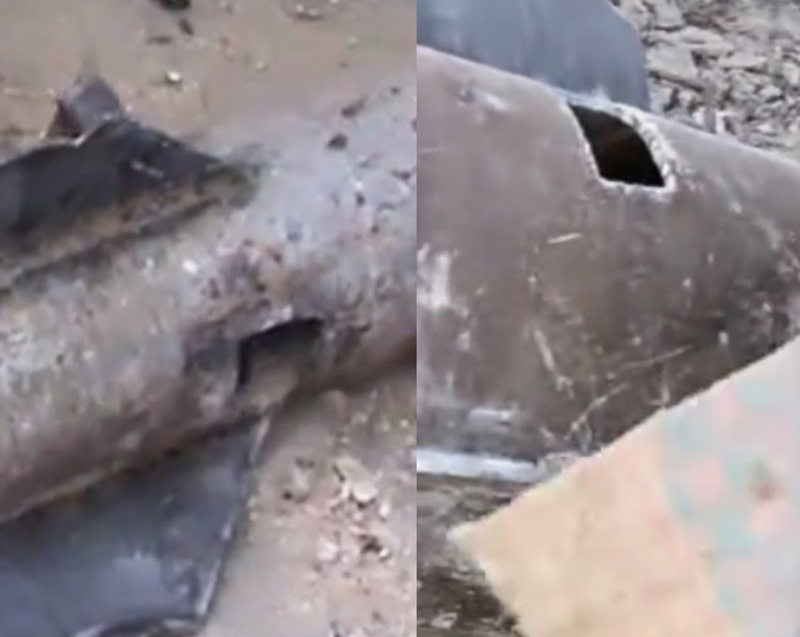 These are not really "chemical weapons", but some odd gas cylinders they decided to throw out of a helicopter. Sure, they will blow up or leak out dispersing some noxious fumes, but they are not purpose built chemical weapons and not that great at spreading death dealing chemicals. I think large propane cylinders attached to some explosives would be far more deadly then these Chlorine cylinders from the water treatment plant. My belief is that it doesnt really matter what they throw out of the helicopter whether it be a highly advanced cluster bomb or a garbage can filled with gasoline. These are devices of terror and mayhem designed to bring fear to the population. 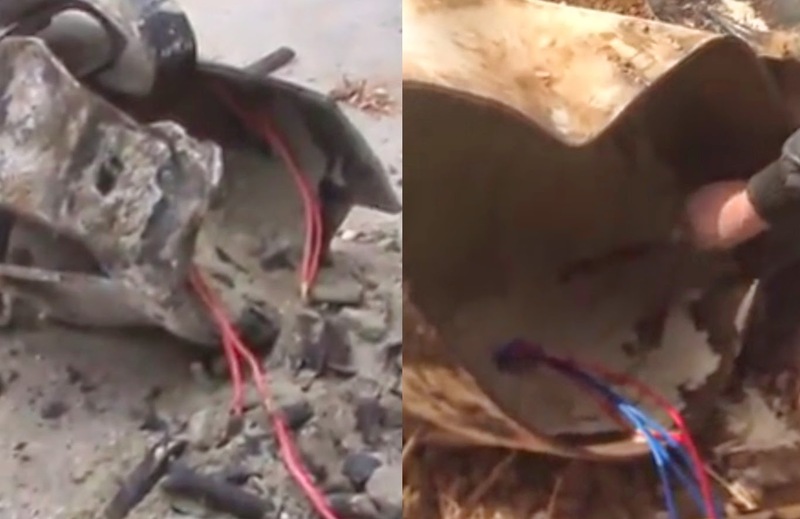 The quality of the device is not important, but just as long as it blows up and kills at least one person. 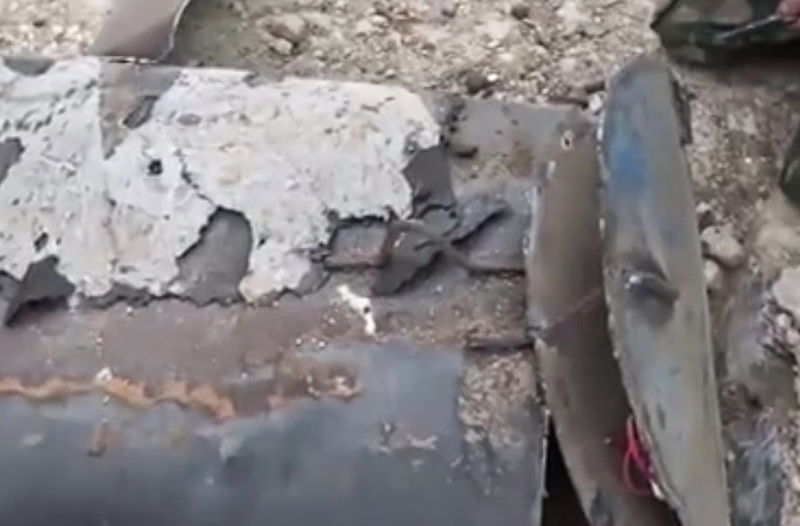 Maybe they should get those Hezbollah guys to design a real bomb to throw out of the helicopter rather then using the usual in-house Syrian Army team. I know they are trying their best, but its obvious they are not engineers. I found a video on Youtube of a very effective bomb dropped by a MIG. When the bomb is released you see several different objects in the air. When it finally hits the result is a line of destruction. I am no arms expert so I will not attempt to explain what it is, but it does look like the result is effective. 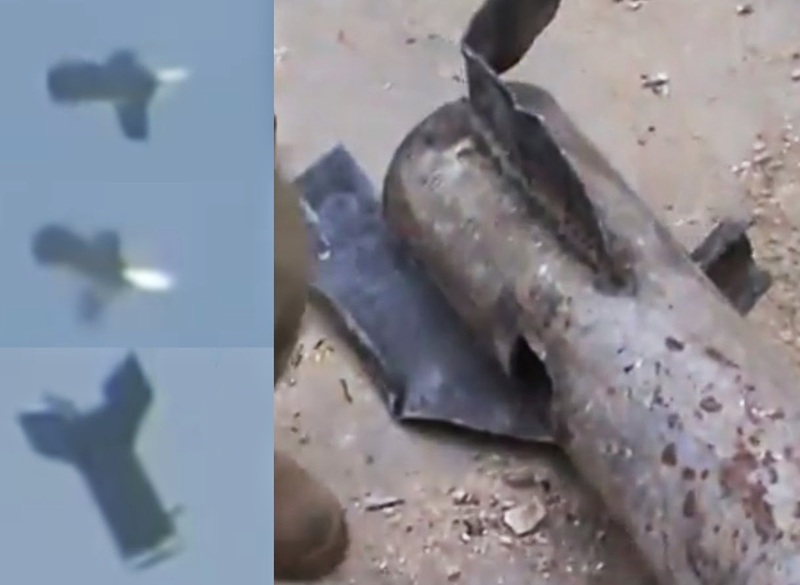 So these barrel bombs are used to scare and terrorize. They throw whatever they can out of the helicopter and they are probably designed by the Syrian soldiers themselves but not engineers. When they really want to do some damage on a military target they turn to more effective weapons like in the video above. Right now they are throwing whatever they can out of the helicopter. The purpose is psychological and to get whoever is in the area to leave. 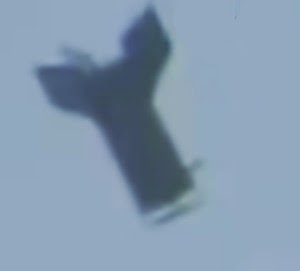 The video shows conventional, dropped ordnance (bombs) using high drag fins. This is very common. These fin assemblies function similar to the way US BSU-49/50 Ballute, high drag, retarding system operates. The BSU type fin assemblies replaced the older Snake Eye high drag fin assemblies. This is just general info but these high drag fin assemblies also play a role in fuze arming/functioning and aircraft ordnance delivery tactics. A " barrel bomb " is nothing more than a " gravity bomb " or " dumb bomb " as they were designed at the begenning of air warfare in 1914 !